The John Hardy Bamboo collection features this black leather bracelet. A braided piece of durable black leather forms the bracelet, while the clasp is a gorgeous sterling silver station. Giving the bracelet a streamlined look, the clasp is cleverly hidden in the sterling silver which adorns the bracelet with the bamboo motif. 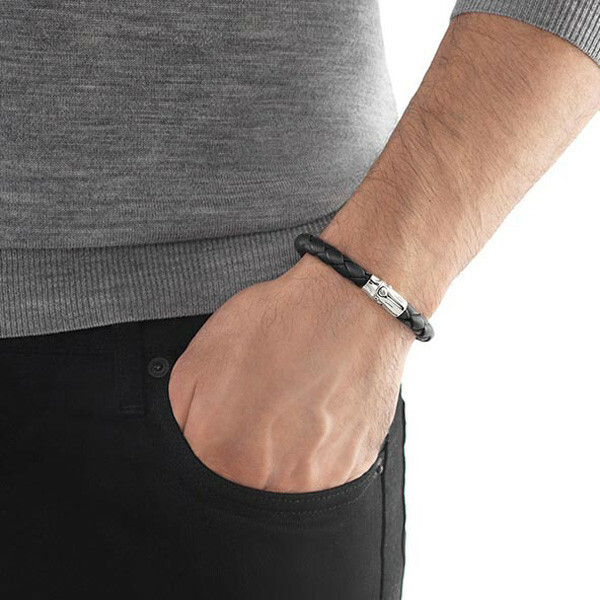 If rugged sophistication is part of your lifestyle, then this bracelet is for you! 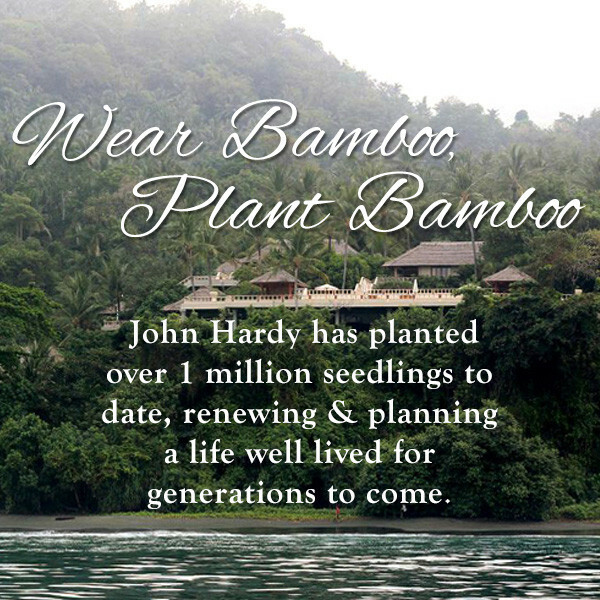 One bamboo seedling is planted with the purchase of this John Hardy bracelet.